“This isn’t the 18th century,” I said. Jason looked puzzled by my statement, as if it had nothing to do with our conversation. He had asked me about picking the best qigong exercises for his situation. Allow me to explain to you what I explained to Jason. In the 18th century, if you were lucky enough to learn qigong — which would have been like winning the Powerball — then you would have probably learned just a handful of exercises during your first 3 years of study. You were also expected to practice several hours per day. In other words, there was no choice. You simply practiced all of the exercises every day. For hours on end. 18th century = learn 5 exercises over 3 years and practice 3 hours per day. 21st century = learn 45 exercises in 1 year and practice 15-30 minutes per day. At first glance, this might seem backward. If modern students practice less, shouldn’t they learn fewer exercises? My answer is clear: nope! Times have changed, and it’s time for students to embrace that change. The old method for teaching qigong and tai chi involved a level of secrecy that is hard for the modern student to grasp. From a teaching perspective, it was not a good pedagogy. Pedagogy is an art and a science. Good teachers — of all subjects — strive to improve their methods and thus maximize their students’ learning. This increased efficiency means that modern students can now learn at a much faster rate. But the traditional Chinese method was the opposite. It intentionally slowed things down in order to test the student’s commitment. In that sense, it was anti-pedagogical. During your “probation” phase, secrets were intentionally held by the master. Students were NOT given critical information that would help them progress faster. Believe it or not, the tradition of secrecy is still alive today. There are still teachers, both Asian and non-Asian, who keep secrets from their students. In other words, they intentionally withhold information that would help their students progress faster. In other words, I am always working on new ways to help my students to learn qigong in a more efficient way. Let’s go back to Jason’s question. He wanted to know how to choose from the many qigong exercises that he knows. I graduated from Columbia which is known for its Core Curriculum. Basically, during my first two years in college, I had to read every major piece of Western literature and philosophy. I read all of those authors and countless more. They’re all on my bookshelf somewhere. Now here’s my point: I don’t remember everything that I’ve read. I probably don’t even remember 25% of it. Did I waste my time reading all those other books? Reading hundreds of books not only stretched and strengthened my mind, but it also helped me to figure out which authors were my favorites. Naturally, this way of learning stuck with me. Decades later, I see tremendous value in bringing this liberal arts approach to the art of qigong. Years ago, I visited a friend who lives in Spain. He’s originally from NYC like me, so we both have a high standard for food. After a few meals, I started to believe him. The food was decidedly mediocre. “Watch this,” he said. We were sitting in yet another mediocre restaurant, and he struck up a conversation with a couple at a nearby table. “How’s the food here?” he asked in fluent Spanish. “How’s the food in Spain?” he asked. “Best in the world!” they both said enthusiastically. “Do you travel much?” he asked. Do you see why I’m telling you this story? Because I don’t want you to be like that Spanish couple! In the qigong world, we often find teachers and students who, like that Spanish couple, believe that their style is the best in the world. I’ve been guilty of this in the past. It’s human nature. We want to believe that our city, our sports team, our food, our religion — whatever it is that we are doing — MUST be the best in the world. If you’ve only learned one style of qigong, or if you’ve only learned one qigong set with 8 to18 exercises — then how do you know if it’s the best? What do you have to compare those exercises to? 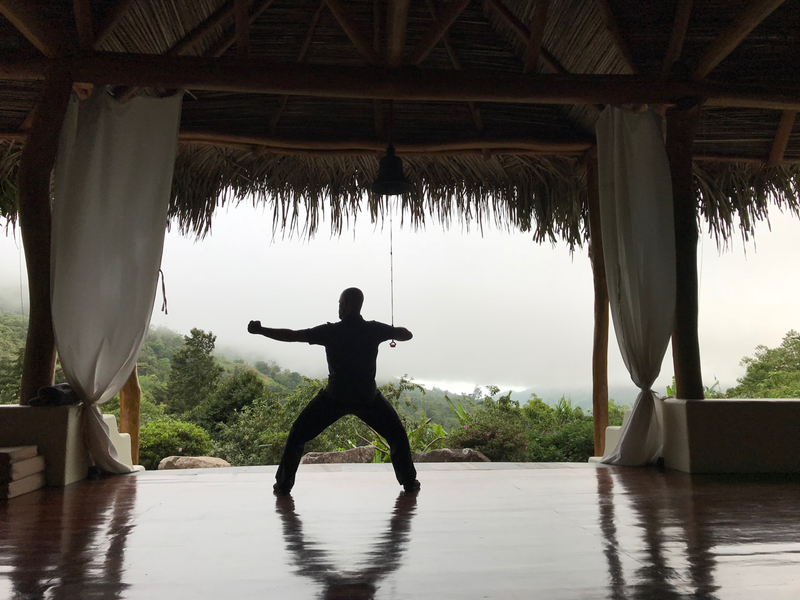 As a teacher, I want to help you to broaden your horizons, to learn many different qigong exercises, and also many different types of qigong. So when you learn Flowing Zen Qigong (the name of my style of qigong), you’re not just learning one style. Actually, Flowing Zen Qigong is more like a university. I aim to give my students a liberal arts education in qigong. In the end, I want you to figure out not which style of qigong is best, but which sets and skills are best for YOU. When selecting which exercises to practice, it’s good to have a large repertoire. Years ago, I used to prescribe exercises for my students. Since I’m trained in Chinese Medicine, I would ask them a series of questions, and then select the best exercises for their situation. I felt like a Chinese herbalist who only had access to a limited supply of herbs. It was MUCH easier to prescribe exercises to students with a large repertoire. Often, I would be able to prescribe not just one, but a handful of exercises specifically working toward their goals. Coming up with customized practice routines for students takes time. I have to ask a bunch of questions, try to figure out what’s going on, and then come up with a prescription based on the exercises that they know. Since it takes up a lot of my time, it also costs money. But not all of my students could afford to pay me for my time. Luckily, I discovered a method that didn’t require a prescription. When students used this new method, they still got great results. This method is simple, and you can start implementing it immediately, assuming that you have a good repertoire of qigong exercises. Here’s the secret: choose favorites. Encourage students to choose their favorites. Why are favorites so important? It’s like a pregnant woman choosing food intuitively. She and the baby need some specific nutrient, but she doesn’t need to read labels. She may have no clue about the nutrient, and her doctor might not know either — but her body knows. This is how you should approach qigong. Choose favorites like a pregnant woman with cravings. Like the pregnant woman, your cravings may change from week to week. That’s fine. Keep following those cravings. Be much more likely to practice, thereby increasing the dosage of qigong. Be much more likely to ENJOY your practice, thereby following the 3 Golden Rules. Gradually settle on exercises that are a perfect fit for your energy and your body. I started teaching this method before I started teaching online. Now that I teach mainly online, I discovered something else. When it comes to choosing favorites, online learning has an advantage over in-person learning. For example, when I would prescribe exercises to students in my brick-and-mortar studio, I often found that even though they had learned the exercise a few years earlier, they had forgotten it. With online learning, you have on-demand access to a library of exercises. For example, by the time you finish my Qigong 101 program, you’ll have learned 45 different qigong exercises. Obviously, you’ll have forgotten many of them over the span of 13 months. But unlike in-person learning, you can go back and review at your leisure. This doesn’t mean that online learning is better than in-person learning. They both have advantages and disadvantages. But don’t listen to people who say that qigong can’t be learned online. It’s nonsense. This method of choosing favorites may not work as well for every type of qigong. The reason it works so well for my students is that they know the 5-Phase Routine. Phase 3 of that routine is called Flowing Breeze Swaying Willow. This is a rare qigong skill that generates a palpable energy flow through the meridians. Flowing Breeze Swaying Willow is unique because it doesn’t direct the qi, but rather, taps into the body’s natural healing wisdom. When you practice specific qigong exercises, you are basically directing the energy to certain organs and meridians. For example, when you practice Plucking Stars, you are directing the energy to the Spleen and Stomach Meridians. That might sound good, but Chinese Medicine is more complicated than that. Maybe the problem SEEMS like it’s in your digestive system, but it’s actually in your Kidney Meridian instead. What happens if you send qi to the wrong meridian? The 5-Phase Routine is the great equalizer. Even if you choose exercises that send qi to the wrong meridian, the qi will redirect to the proper destination during Flowing Breeze Swaying Willow. It’s like an automatic guidance system. 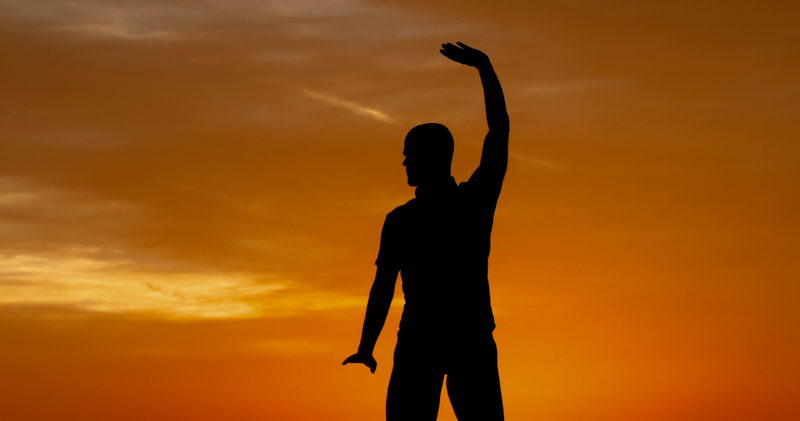 Learn a bunch of qigong exercises. You don’t need to learn 100 exercises. Maybe later, you can have fun learning that many. I’ve learned well over 300, but I’ve been doing this for a while. Remember that this is a lifelong journey. Even if you’re 70 years old, you can still enjoy qigong for many, many years to come. There’s plenty of time to learn new material! Questions? Comments? Let’s have a chat below. Many thanks for your regular emails which I find most encouraging. I’m 75 now and about three years ago started practicing Shibashi each morning after finding it on YouTube. I see Shibashi is not one of your recommended sets, and I’m wondering if I should be thinking of a change of routine. I would love to enroll on your online courses, but living where I do, the exchange rate to USD makes it unaffordable. So, if you have a few minutes to suggest a suitable routine , I would be most grateful, but I do understand how busy you are and will understand if this is not possible. Hi Bruce. There’s nothing wrong with Shibashi. In fact, a lot of my students are Shibashi instructors. If you’re on a budget, my best advice is to learn the 5-Phase Routine and then work some of the Shibashi exercises into Phase 2. Excellent guidance! A masterful and practical perspective. Thank you for writing, teaching and sharing your wisdom, these practices and your approach, it is far from universal. When does the 101 course open up again? Hi Edward. It reopens in November. Hi Sifu, thank you for the clarification! But one question: what about choosing the exercise you hate (or the hardest one for you)? I think you mentioned that somewhere too. Thanks! Start with favorites, get some momentum going, and then we can worry about adding some of the challenging ones that you avoid! Thank you, Sifu Anthony! This article was so helpful! I’m absolutely loving your 101 course but I’ve been questioning whether I need to be including certain exercises and how to know for sure. This article really made it clear why choosing favorites works! It makes sense that the body knows what it needs and we’re drawn to that. And it’s given me an even greater appreciation for Flowing Breeze Swaying Willow. I want to say that I have been doing the 5-sequence practice for the last while since I took the online course. It has changed my practice. I can heartily recommend it. I appreciate teachers and instructors who continue to learn and grow and share their learning with us. Thank you very much for your enthusiasm and work.